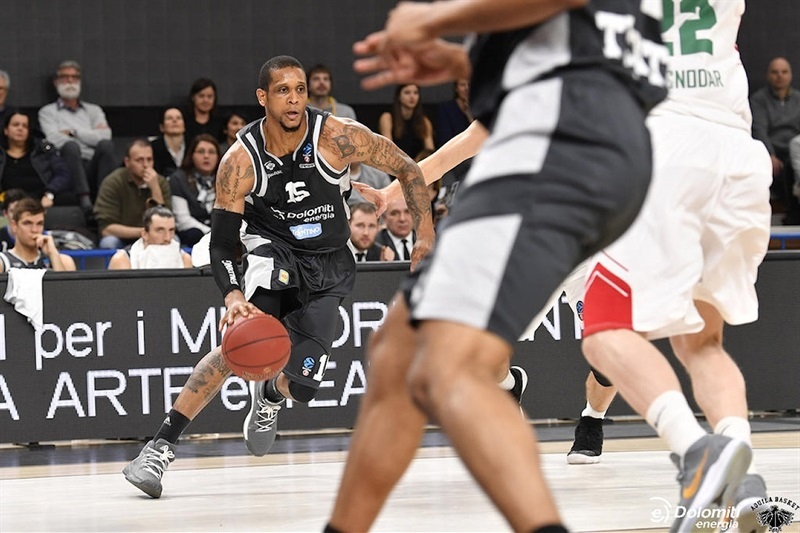 It wasn't easy, but Lokomotiv Kuban Krasnodar stayed perfect in the 7DAYS EuroCup this season with a 71-74 road win over Dolomiti Energia Trento to close the Top 16 on Wednesday. 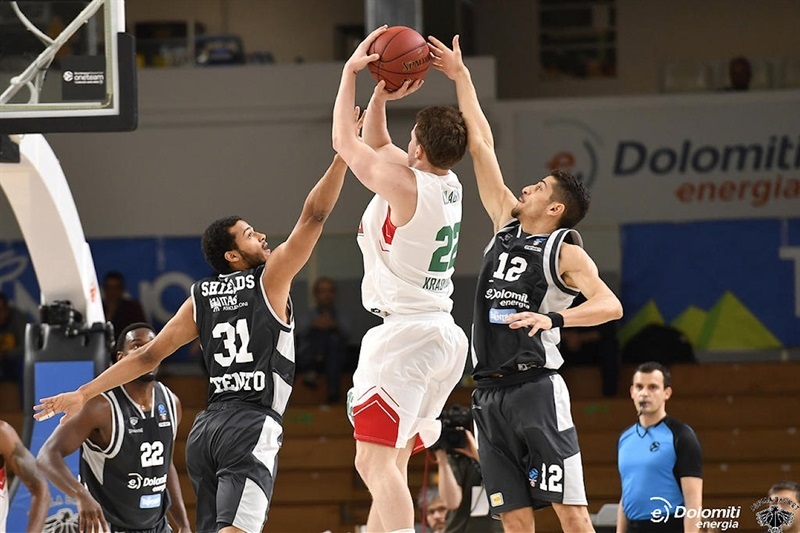 Lokomotiv finished 6-0 in Group G, which when added to its 10-0 regular season record gives the team the second-longest undefeated streak in EuroCup history. The longest such streak, 20 games, belongs to Lokomotiv's 2015-16 team. 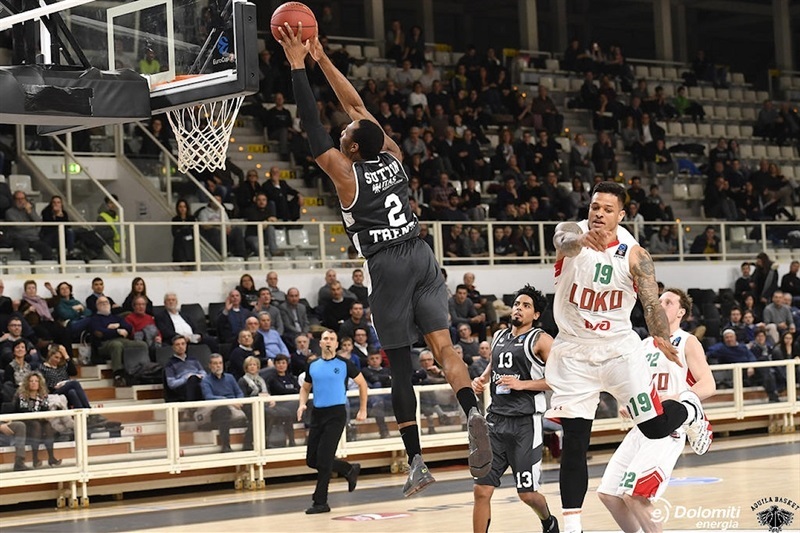 Trento finished 2-4 despite rallying from 13 points behind to tie 69-69 on a layup by Jorge Gutierrez with 32 seconds left. 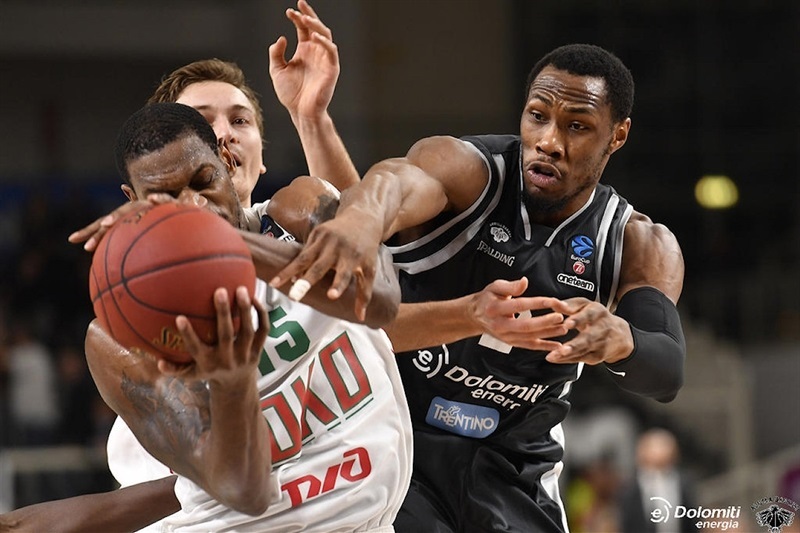 Lokomotiv welcomed back point guard Joe Ragland after four games injured, and he stepped up 10 seconds later with the three-pointer that spelled the difference down the stretch. Ryan Broekhoff led Lokomotiv with 13 points, while Frank Elegar and Mardy Collins had 10 each, but the visitors suffered from 20 turnovers. 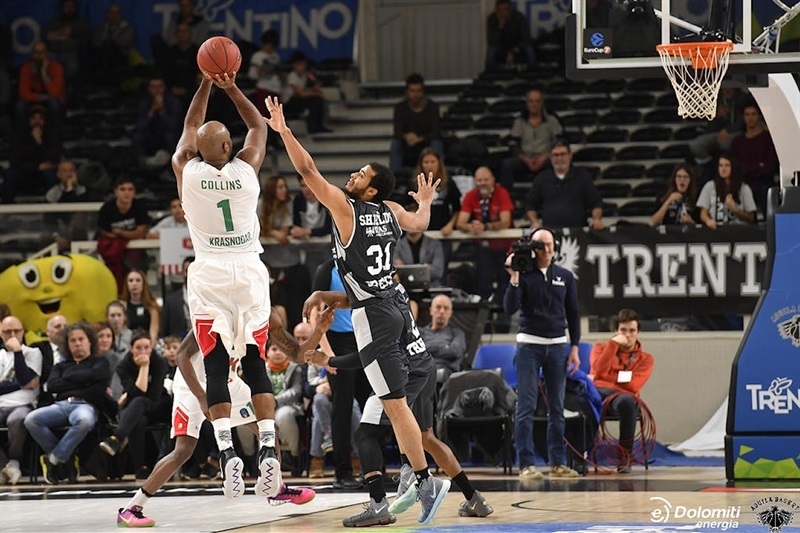 Gutierrez paced Trento with 17 points, while Dustin Hogue and Shavon Shields had 13 each and Yannick Franke 11. The hosts made just 1 of 15 three-point tries in the first three quarters and finished 3 for 20. Dimitri Khvostov opened the scoring with 5 points for Lokomotiv before Vladimir Ivlev dunked a fastbreak feed from Collins for a 0-8 start. 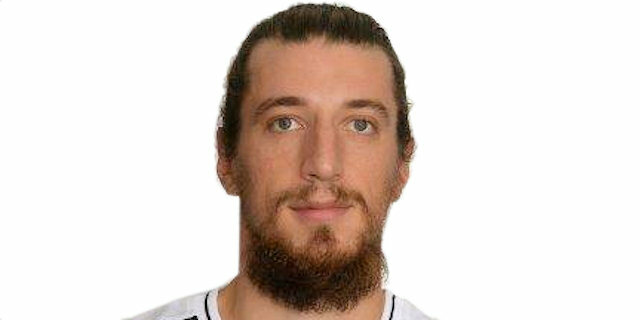 Hogue was able to dunk twice among 6 points in a row for Trento, but Brian Qvale's inside baskets left Lokomotiv up 8-14. 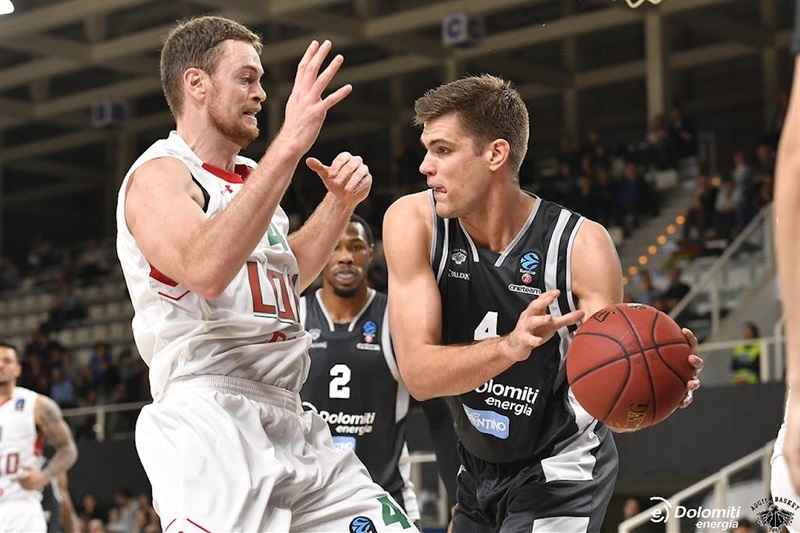 Dominique Sutton's fall-away jumper was answered by Broekhoff from deep before Beto Gomes hit free throws to make it 14-19 after one quarter. 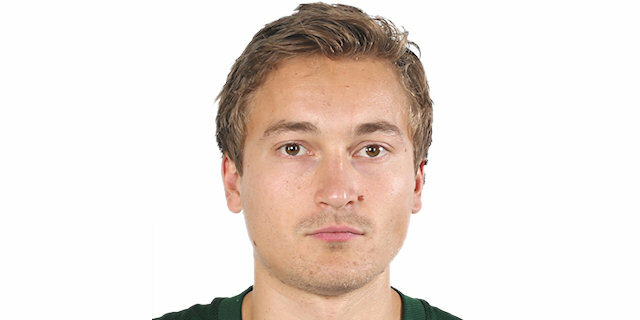 Elegar assisted Broekhoff's back-door reverse to open the second quarter and Evgeny Baburin added a corner triple for the game's high lead thus far, 15-24. Hogue and Shavon Shields pulled Trento closer and a triple by Jorge Gutierrez made it 24-29. 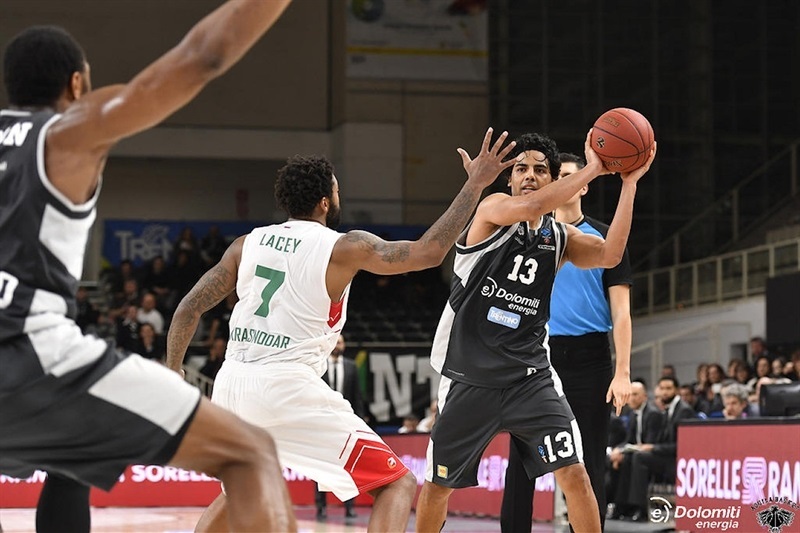 Free throws led to Trevor Lacy feeding Dmitry Kulagin as Lokomotiv regained its high lead with a 27-36 halftime advantage. Khvostov's free throws provided the first double-digit lead, 27-38, to start the second half. Gutierrez stole and passed to Sutton for a dunk that Chris Babb answered from downtown for Lokomotiv at 33-42. Baskets by Collins and Ragland made it 35-48, a new high lead. Shields interrupted a stream of free throws with a pair of baskets but Broekhoff drilled a triple on the buzzer to keep Lokomotiv well ahead, 45-57, after 30 minutes. Franke's 3 points were all that fell in the first 3 minutes of the fourth quarter. Then, however, Sutton and Shields unleashed fastbreak dunks before Franke's put-back suddenly made it 55-57. 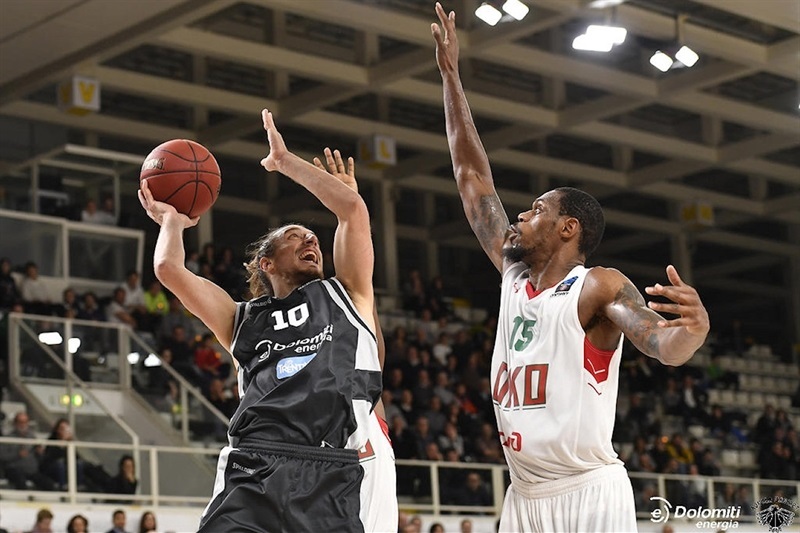 Trento's defense held Lokomotiv scoreless through 5 minutes before Qvale hit a hook shot at 55-59. Gutierrez answered from long distance but Broekhoff and Qvale scored off offensive rebounds to make it 58-63. Gutierrez's tough layup was followed by 3 free throws from Collins and Babb, but Franke bombed a triple inside 2 minutes to make it 63-66. Collins scored in close and Gutierrez hit free throws before Shields stole and raced for a fastbreak to make it 67-68 with 52 seconds left. Elegar made 1 of 2 free throws and Gutierrez blasted to the basket for a game-tying layup at 69-69 with 32 seconds left. 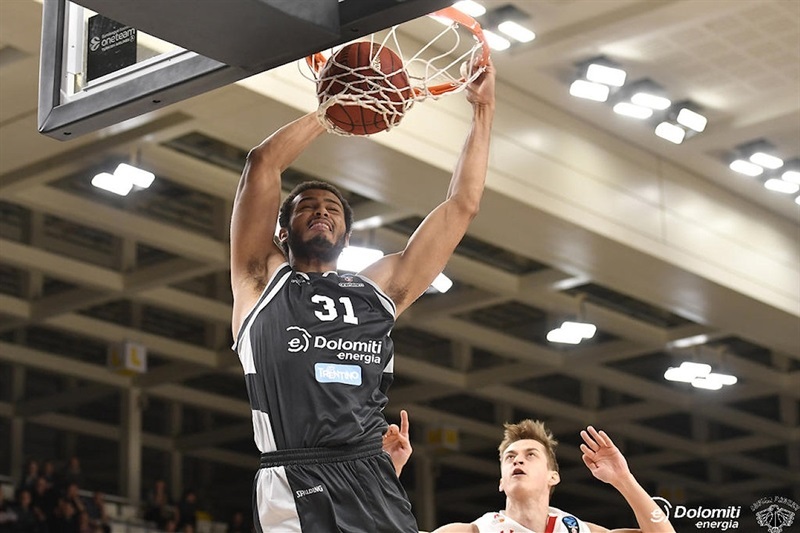 Lokomotiv went to Ragland, who buried an open three-pointer that finally proved too much for Trento to come back from with just 23 seconds left. “We did our best to close our European adventure the best way we could. Lokomotiv played a great game, putting great difensive effort and succeeded in staying undefeated". 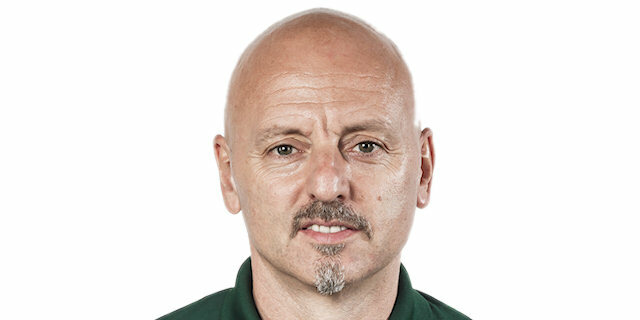 "Trento is a very tough team. We knew that no matter what lead we built, they were going to really try to come back. They played physical, they played strong, they crashed the boards. This was a game that we needed to win, to win a game like this, and we're just happy we were able to pull it out."